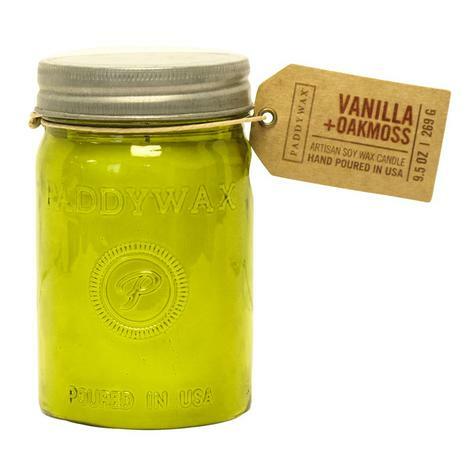 Vanilla & Oakmoss contains Paddywax signature soy wax, paired with Vanilla and Oakmoss, hand-poured in a 9.5 oz. yellow glass jar. 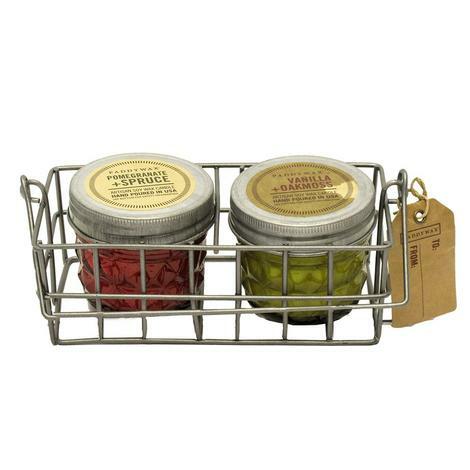 Caddy set includes one Pomegranate and Spruce and One Vanilla and Oak moss scented soy candle in a decorative jar. 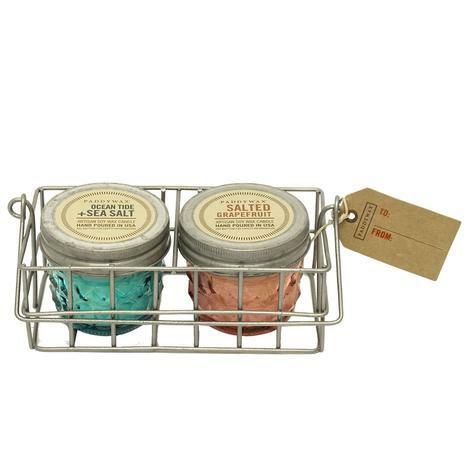 Caddy set includes one Oceantide SeaSalt and one Salted Grapefruit scented soy candle in a decorative jar. 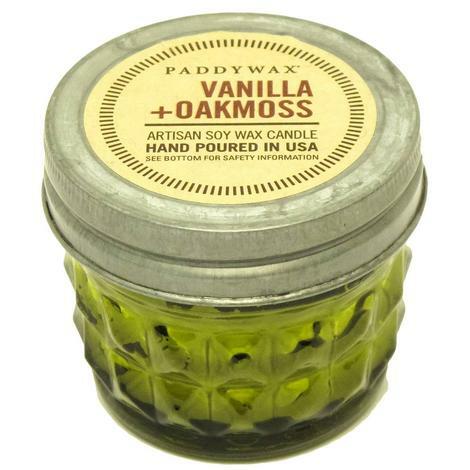 Paddy wax is an artisan candle company and industry leader in hand-poured, fragrance-infused, soy wax blended candles. 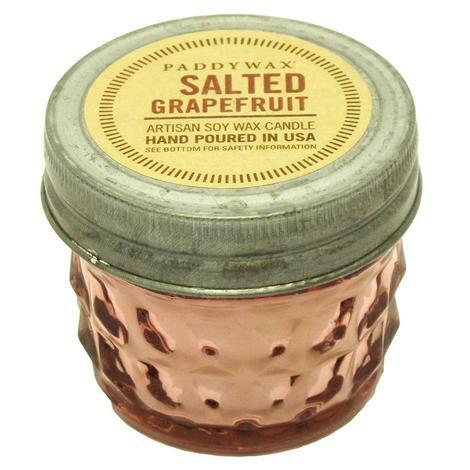 This salted grapefruit scent comes in a 3 ounce pink vintage storage jar. These iconic vessels are no longer just our Grandmother's go-to but are ideal for trendsetters, brides and crafting mavens! Hand poured.